Does your brain suffer from opportunity overflow? If your inbox is filled with daily opportunities to grow your business faster, get new custom plug-ins to save time, VIP coaching programs, social media how-to’s to increase visibility and attract buyers, you’ve got opportunity overflow. It all sounds so good and with credit card in hand, you’re ready to hit the Buy Now button to take your business to the next level. These great opportunities are asking you to make a quick emotional brain decision when you really should be making a business brain decision. A business brain decision allows you to spend more brain time thinking through options, advantages and disadvantages before going ahead with a commitment. This special offer ends at midnight tonight! If you order now, you’ll get these extra bonuses! Closing the doors and this offer will never be made again! This is not about the validity of an offer being made, but rather how can you make a quick decision that’s in the best interests of your business. Before you click on that Buy Now button ask yourself these basic 10 questions. Is the offer in alignment with my core business strategy? Do the package benefits match my business criteria? Is the information too basic or too advanced for me? Besides the guarantee, is this a trustworthy marketer with a good reputation? What does my gut feeling, intuition or my heart tell me? Is the fear of missing out on a great deal pushing me in the direction of purchasing? Is my “BS” meter getting turned on by anything I heard or read? If I don’t make this purchase what’s the worst that can happen? Is the price reasonable for what’s being offered and can I afford it at this time? How many other programs have I purchased that I’ve not yet used or partially started? By stopping to ask yourself these basic 10 questions, you’re giving you business brain, rather than your emotional brain, the chance to make the best decision for you and your business. Once you have your answers, you’ll have a good idea whether to click or not to click on that Buy Now button with confidence. If you have a Buy Now button story or comment please share. We love to hear about your Buy Now experience. Good practice Joan to review a product or service before you buy. Sometimes the copy can be so persuasive that we want to say Yes on the spot. I hate it when they want you to buy before the end of the webinar and taunt you with great sounding bonuses. Love your basic questions. What I would add is that if the answers to all your other questions are leading you to make the expenditure, but that voice in your head says, “You can’t afford it!” I would do some deeper digging. Because some of the best, most important business expenditures I’ve made have been after I told myself I couldn’t afford it. Thanks for adding that into the mix, Jackie. Money can be a real issue, especially when it’s a big investment. I’d suggest asking if you did make this investment, are you willing to follow through and get your money’s worth. It’s important to get honest with yourself, especially if you have money blocks. Then you need to address them so you can move on and be successful in your business. Great list of questions, Joyce. Yes, my inbox is full of offers. There are so many coaches of coaches and coaches of authors and it seems mostly the make offers and sell sell sell, not any real info. And sometimes preposterous outcomes. #7 the BS meter is one I really relate to! Absolutely right, Diane. My inbox was getting overwhelmed with offers. I was spending an inordinate amount of time shifting through. Then last year I started a purge campaign. Narrowed it down to a handful of marketers – some who I follow for their copy style, others who have products I’m interested in. By focusing on a small group you get to find who is sincere and has something important to offer. I’ve come to the conclusion, that if I delete someone, if they are good their name will pop up again, and I can always re-subscribe. As a consumer, great questions to consider! Typically, I don’t ‘buy now’. I have to think about it and learn more about who and what I am buying. As a business owner, you have to take this information into account. I have to build a relationship with my customer…build trust and educate. Interesting things to think about! Staci, you’ve pointed out the duality here. As the business owner you want sales, yet as a potential customer of someone else’s products, you’re more cautious. That’s key to understanding the challenges of marketing and developing customer relationships. The quality of the customer relationship is just as important as the quality of the product. Great questions! I always ask myself, “Have I identified a need for something like this prior to discovering this product?” “What goals or problems will this address or fix?” Great thoughts Joyce! You’re asking the right questions, Nancy. Sometimes the offer is so good that it’s hard to resist. That’s when it’s time to go down the question list. I always like to add if the product is that good it will be offered again, so you really never miss out if you decide that you really do need it. 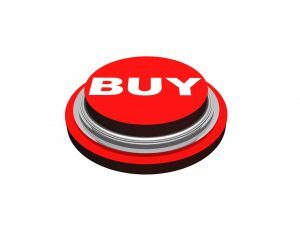 Because I act so much from intuition or a gut feeling, I don’t have the problem of pushing the buy button too frequently. The current one-year program I did choose, I asked a lot of questions of them first and had several calls with someone before I actually signed up. There was a “sign now” coaching bonus and still I didn’t jump in for that either. As it turned out, I did get the coaching bonus and was very happy I took my time to make sure it wasn’t just an false impulse that had me believing I wanted to buy in. Good topic and your 10 questions are a great process to make sure you aren’t diving in head first without assessing if it is the right choice at the right time for you. Thanks for the great guidelines Joyce! Looks like you’ve mastered the art of being decisive before buying. Many times these programs are major purchases and there’s definitely a need to ask questions. Just because there is a refund guarantee, doesn’t mean that it’s going to be that easy to get your money back if you decide on a refund. There can be a lot of hassle involved. Better to be cautious from the start. Thanks for sharing your experiences. Glad you enjoyed the post, Joan. May all your purchases be wise ones. Happy to hear you have developed immunity. I’ve got my stash of files too. One day I’ll get to them. We all get the buy bug when we start out thinking that we really need it. The problem is that we buy more than what we can consume and implement. Then it sits in a file. When I find these files for the life of me I can’t even remember what it is and why I bought it in the first place. Glad to hear you have developed finger control. Thanks for the questions to reflect on before pushing the buy now button. Great copywriting contributes to pushing that button quicker too, I believe. I actually want to be one of those copywriters myself. 🙂 I tend to go with brain and emotion decisions because I want to feel inspired and yet at times the brain might feed back to me some ‘limiting beliefs’ of why not. I see value in both. Thanks for a good read and great references to consider! Thanks for commenting Teresa. Being a copywriter is quite a skill to acquire, and there is definitely an art to conveying a reason to purchase. I find myself looking at how the sales copy is constructed first, then I figure out if I really need it. It helps slow down the buy process. These are great questions to ask, Joyce! I actually have the opposite problem–it takes me a long time to buy anything. And I mean, anything. (You would truly never want to go shopping with me!) I don’t know what it is, but rather than purchasing something I know I’d like, or would be helpful to me, I chew on it and chew on it (my dog friends will say I obsess over stud dogs). The problem with it is, often I’m left going, I wish I’da gone on and bought X for my friend, when I had the chance. In terms of making decisions, we like to think that we are rational, logical and decisive in what we want. In reality, our decisions are more emotional and of a subconscious nature that places them outside of conscious awareness. I’ve been working a big decision project as will keep you posted as I get closer to getting it ready to put it out there. Great questions. I personally, will keep items and wait till I am ready to buy. But these are great for lots of people I know. I am going to share this with them. Thanks. Glad you liked the questions and will be sharing them. I’m a first time visitor to your blog and just wanted to share my thoughts about this topic as well. I used to be a buy now clicker and still to this day I hate those messages that say “this special offer ends at midnight tonight”. I know it’s a marketing ploy but so many don’t. Over the years though after doing this enough times to know that I didn’t really need what I just bought that I think things through so much more now. If it’s something that will benefit me in my business right now then I’ll consider buying it. I’ll still check it out thoroughly though but I’ll consider it. If it’s not something I need right now to help me then I ignore it and move on. Most of the people who purchase on a whim never even use the product, it was just that message that got them and why so many marketers still apply them today. No one wants out brains to go into information overload so this is very sound advice, thank you. Love your message, thanks for sharing and I hope you have a terrific rest of your week. Hi Adrienne. Thank you for the kind words. You’re absolutely right, many do buy on a whim and never use the product. It’s easy to entice a buyer with a discount price or limited time offer, but I find that if you give it a couple of months they will be back again with the same offer. Also, you’ll find common theme sales programs being offered by various marketers. So, you really don’t miss anything, and when you do purchase you will have a better idea of what’s right for you. Interesting article, Joyce. I really don’t think I am influenced by the urgency which often preceeds the Buy Button. I haven’t bought programs just because of that persusive copy. I do think carefully about the suitability of the offer for me. Oh, I just thought of this: In the past I would sometimes sign up for something I wasn’t sure of because there was a money back guarantee and occasionally took advantage of the guarantee. I don’t think that’s a good way to act though. Psycholgically the money back guarantee gives you peace of mind if you’re unsure about your decision, and statistics show few people acually do ask for a refund even though they are not totally happy with their purchase. But, you also have those who have no intention of paying and will copy the information and then ask for a refund. We have to accept that a small percentage will try to get away with not paying. Bad karma for them. Excellent question to ask Karne. The temptation is always there, but the reality is having the time. If you don’t schedule the time, then it’s jus going to sit in a file. I’ve even heard other marketers say they have purchased something twice because they didn’t remember purchasing it the first time.